In Most of the Organizations users and groups are created and managed on Windows Active Directory. We can integrate our RHEL 7 and CentOS 7 servers with AD(Active Directory) for authenticate purpose. 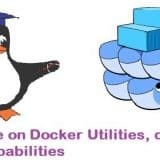 In other words we can join our CentOS 7 and RHEL 7 Server on Windows Domain so that system admins can login to these Linux servers with AD credentials. While creating UNIX users on AD we can map these users to a specific group so that level of access is controlled centrally from AD. 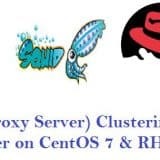 In this article we discuss how to integrate CentOS 7.x & RHEL 7.x with AD(Windows Server 2008 R2 & Windows Server 2012 R2). 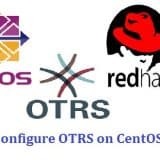 Following steps are applicable for both CentOS 7 and RHEL 7. Use the yum command to install following packages from the command line. When we install above required packages then realm command will be available. We will use beneath realm command to integrate CentOS 7 or RHEL 7 with AD via the user “tech”. tech is a bind user which have required privileges on AD or we can also administrator user of AD Server for integration purpose. Whenever we run ‘realm join’ command it will automatically configure ‘/etc/sssd/sssd.conf‘ file. With ‘id‘ command on Linux we can verify the user’s uid and gid and their group information. At this point of time our server is now the part of windows domain. Use below command to verify AD users details. You might have noticed in above command that i have mentioned domain name as well along with user name because this is controlled by ‘/etc/sssd/sssd.conf’ file. 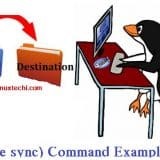 If we execute id command without domain name then we will not get any details for user. We can change this behavior by editing the file /etc/sssd/sssd.conf. Put the following content in the file. In my case I have given all the rights to the users which are part of sudoers group. Once your done with these changes re-login to your server with AD credentials and see whether user is part of sudoers group. That’s all from this article, Hope you guys got an idea how to join RHEL or CentOS server with Windows Domain. Please share your feedback and valuable comments. One pedantic complaint… in your last screenshot, you execute “sudo su -” … you should really just be using “sudo -i”. 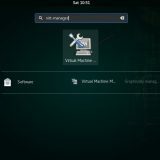 Do you know how to make JUST authentication work with CentOS 7? 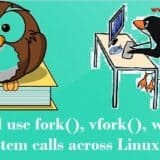 I’m trying to get some linux servers from one domain, to be able to authenticate to another, so I don’t want to join the domain. I was able to do this with CentOS 5 and 6, but I haven’t been able to get it to work with 7. Any thoughts? Great info, thanks for posting. One thing I’m trying to figure out is how to restrict user logins based on AD group membership. Any ideas here? I saw one article referring to pam_access and nologin and editing the access.conf file but so far no luck. All domain members can still SSH to the host. 2) Add the domain users (which to want to allow login) to this security group. just want to send over a correction. your instruction states to add the line “realm permit…” to sssd.conf but that’s actually a command that needs to be run. it’s not a config file entry. First of all thank you very much for posting this valuable information, it’s really very helpfull. I am trying to configure the AD authentication and facing one issue while following your article. 1- I have installed all the required packages as mentioned in the article. 2- I have all the connectivity in place and my RHEL7 server is able to connect with AD server with IP and FQDN. 3- Next is when I execute the “realm discover” or “realm discover domainname” I am getting “No such realm found:” error. 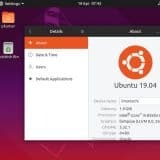 Please help me to troubleshoot the issue. Any idea why this is happening? Do I need to configure anything in /etc/krb5.conf? Thank you for posting this article! These instructions are for RHEL7/CentOS7. 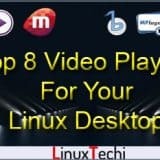 Do you know if it would work on RHEL6 or 5? Hello. I’ve installes sssd on a Centos7 server and i’m able to login using may Active Directory credentials, however the id command does not resolve the group names of the AD . Denying me the possiblity of restrict the authentication based on an AD group , because the declared group under sssd.conf cannot be found. The above steps worked great for me, but there’s a couple problems I’ve run into. My company is migrating from NIS to AD. Our home directories are owned by our NIS accounts, which is mounted using autofs settings from NIS. However, I cannot create new files or modify existing ones in my home directory because my AD account isn’t the owner. How can I change my UID in AD to match my NIS UID? Was this ever answered? I have the same problem. Thanks! Do you have a similar article for integrating samba and active directory authentication? I’d like to be able to share out the home directories on the centos server of the active directory users who have logged in and I am running into a wall. First of all, Big thank you. Q.Is there any way to control UID while creating user on AD? it’s works very well with windows server 2012 R2. This is fantastic – thank you! Now, what about integrating Samba authentication with this method of AD integration? I cannot seem to get this to work. I have installed it on aws but when i try to ssh it it say permission denied i have 3 4 times but still showing same issue.. I got the same issue have you find any solution for this error! I tried the solution and it worked for me now I have a different issue/question. I added my linux server to subA.domain.com. I also want to allow domain.com and subB.domain.com users to be able to login as well.